The Northern Cape is a province in South Africa, in the north east of the country. It is a large, semi-arid region which is also renowned as the least populated of South Africa's 9 provinces. Because of its low population density and arid landscape many people write the area off as an uninteresting destination, but this couldn't be further from the truth! In fact, the Northern Cape is home to some incredible attractions, and while it doesn't offer the bright light city life like Johannesburg in Gauteng or Cape Town in the Western Cape do, it has some lovely towns which will no doubt endear themselves to you. Some of the most popular attractions in the Northern Cape are nature reserves - spaces where the mind-bending landscape, the wildlife or both enthrall visitors. The Augrabies Falls National Park for example provides a stunning sight as the water gushes over the edge of the falls amongst smooth red rocks. The Kalahari Gemsbok National Park will have you gobsmacked by the scenery as well as the variety of game, from jackal and gemsbok to lion. 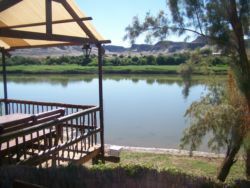 The Orange River also runs through the Northern Cape, providing opportunities for many activities like water sports, fishing and river cruises, all of which can be done around Upington and Douglas. 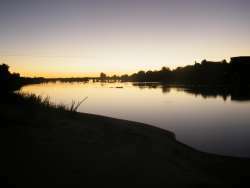 The river also provides fertile soil for vineyards and other fruit. In spring, the Namaqualand region near the town of Springbok gets a complete makeover when the renowned wild daisies make an appearance. The province's capital, Kimberley is home to the Big Hole a disused mine which has been turned into a museum which casts light on the area's diamond mining history. A quick look at our website will give you the information you need to make your choice. You will find reviews and you will also be able to compare prices and find wonderfully affordable accommodation in Northern Cape. Are you planning the perfect getaway but have not yet found your ideal Northern Cape accommodation? By using our easy website, you can find great accommodation of all types, whether it is a cosy bed and breakfast or a comfortable lodge. We have thousands of easy to find listings for self-catering facilities, holiday homes, guest houses and hotels as well as backpackers, chalets, caravan facilities, villas and apartments, giving you a wide variety of options when it comes to your accommodation in Northern Cape. To help you find the right place to stay, we have a number of tools that you can use, including a map. This will help you to pin point exactly where you will be staying and it will show you the accommodation facilities that are closest to where you will be. Regardless of the reason for your visit to Northern Cape, we can guarantee that you will find the type of accommodation you are looking for. But reviews for Northern Cape accommodation is not the only information you will find. Want to know if your Northern Cape accommodation is pet-friendly or allows smoking? All of that information is included on the listings page. You will also be able to find which activities are on offer and the sort of amenities included with each room. All of this information will help you to make an informed decision before you make any payments to, giving you more peace of mind about your choice. 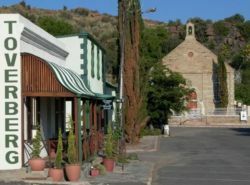 We include all of the contact details of the self-catering accommodation, holiday homes, guest houses and hotels as well as backpackers, chalets, caravan facilities, villas and apartments in Northern Cape which are featured on this website, so you also have the option of getting directly in touch with the place. 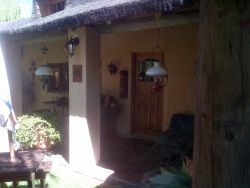 Regardless of where you are staying, we feature Northern Cape accommodation in that area of the province. You have options of Northern Cape guest houses, lodges and bed and breakfasts, among others, ranging from your more affordable, lower prices to your more luxurious options. So, you are not visiting for a holiday but rather for business and all you need is a place to stay for a night or two? The bed and breakfast options, as well as the lodges, are generally preferred by business people and you will find all types, from your more luxurious lodges to your simple, self-catering bed and breakfast. Each will give you a safe roof over your head while you are in the province. 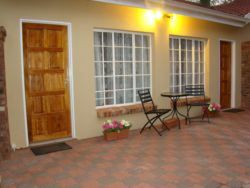 Northern Cape accommodation is not only affordable but well situated. If you are doing business in this area, this is a great accommodation choice. Spending more than a few days in the province? Perhaps you are indulging in a tour of the region and you are looking for a few places to stay? Browsing through our listed self-catering accommodation, holiday homes, guest houses and hotels as well as backpackers, chalets, caravan facilities, villas and apartments in Northern Cape will give you all of the information you need to make your selection. And once you have found the ideal place to stay, you can either request a quote or make your booking directly on this website. Sleeping-OUT.co.za is designed to make finding and booking accommodation in Northern Cape easier than your traditional methods of sourcing a place to stay! 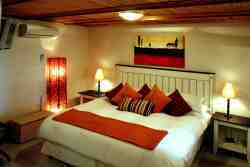 We include some great accommodation special deals in and around Northern Cape.